The German deep house and deep techno imprint presents Ornaments Symphony 3. 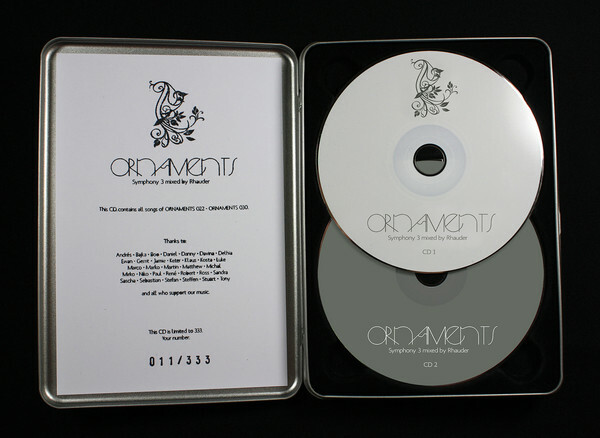 This double CD–Box contains all songs of ORNAMENTS 022 – ORNAMENTS 030 for those who haven’t had the chance to listen to their stuff on vinyl. Mixed by Rhauder incl. tracks by Boo Williams, Marko Fürstenberg, XDB, Redshape, Sascha Dive, Steve Bug, Freund der Familie, Youandewan, Carlos Nilmmns, Mod.Civil, The Analog Roland Orchestra, youAND:THEMACHINES and many more. 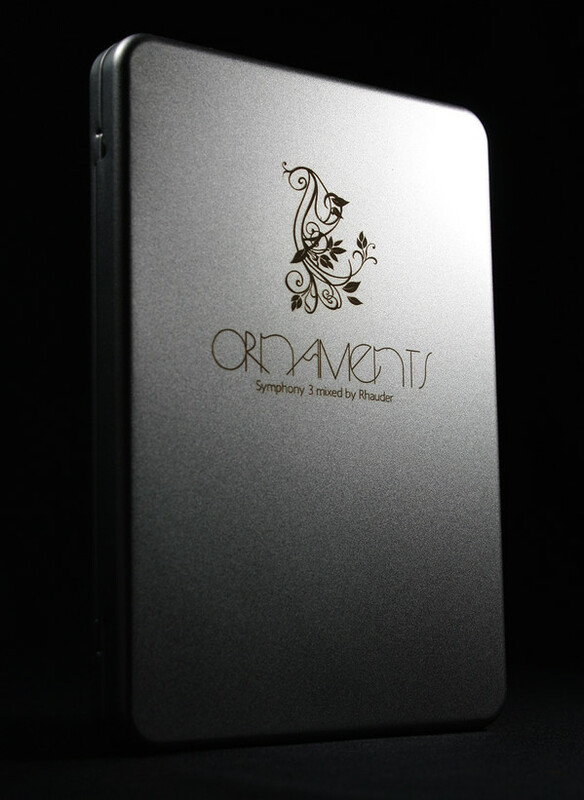 Limited to 333 | Comes in a metalbox with handstamped and numbered inlaycard.